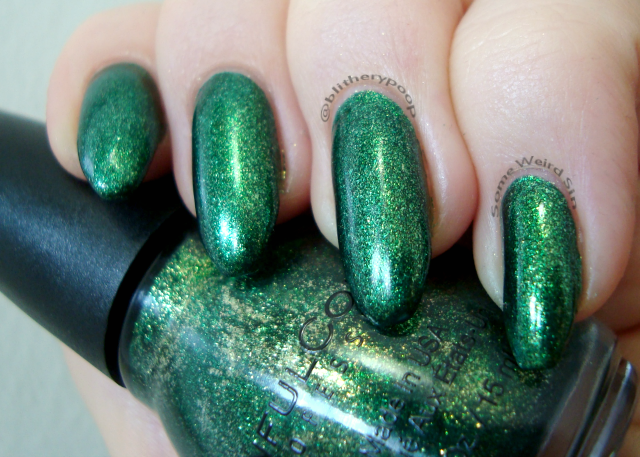 I'm Clover It has metallic green and matte light green glitter with a scattering of clover-shaped glitter in a clear base. Glitters with a blend of light and dark can be a layering challenge. This combo was a total whim, thrown over my NOTD, but I like the clashiness of it. The base in I'm Clover it is on the watery side. Combine that with big, shaped glitter and you have a serious fishing trip ahead of you. I couldn't get a single clover on the brush. Not one! I had to pull out a toothpick and swirl, tilt, and curse to get two of them out. When I had, I realized it wasn't really worth the effort. They stand out stubbornly against the curve of my nails. I can't tell if they're tacoing slightly or if they just have a lip from when they were punched, but they act like tiny bowls. The base pools in them and the smaller glitters cling. It's...not great. I love the novelty of these shaped glitters, but they either need to thicken up their base or just give up and sell little packets of glitter to stick on. Gilded Goddess is a pale, frosty yellow with gold flecks. Hmm. Gilded Goddess is...quirky. 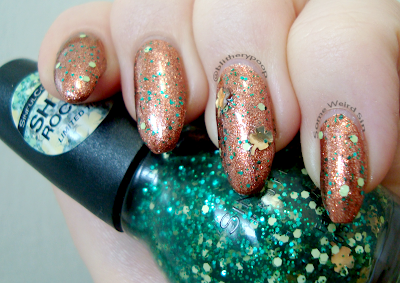 It reminds me of Zoya Brooklyn from years ago, but the little gold flecks take away some of the frosty ick factor. Still, I can't say I really like it. This is three coats. 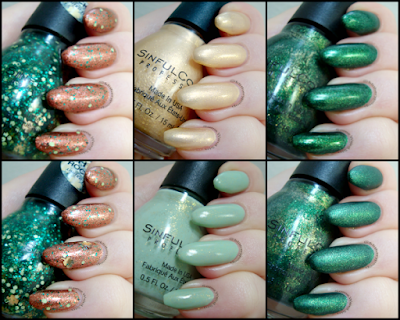 Works Like A Charm is a minty cream with gold flecks. Ooh! Now that's more like it! This is a must-have, even for a pastel hater like me. The gold flecks completely make it, even though (or maybe because) they're subtle. The formula is on the thick side. I did one thin coat, one thick, and the results are pretty damn perfect. Love! 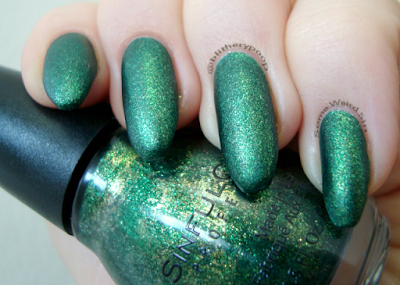 Queen Of Green is a forest green and gold foil. Another pure winner! How perfect would this be for xmas pickle nails? I might have to do that in December. The application was so problem-free that my notes only read "2". This is two oh-so-easy and oh-my-sparkly coats. Bottom line: Works Like A Charm and Queen Of Green are both must-haves. Gilded Goddess is an oddball. 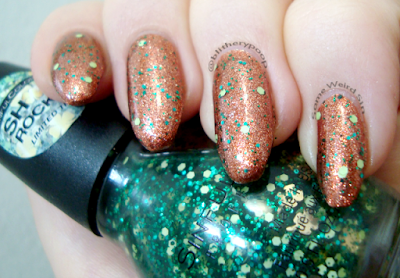 I'm Clover It really makes you work for clovers that refuse to behave once they're on the nail.